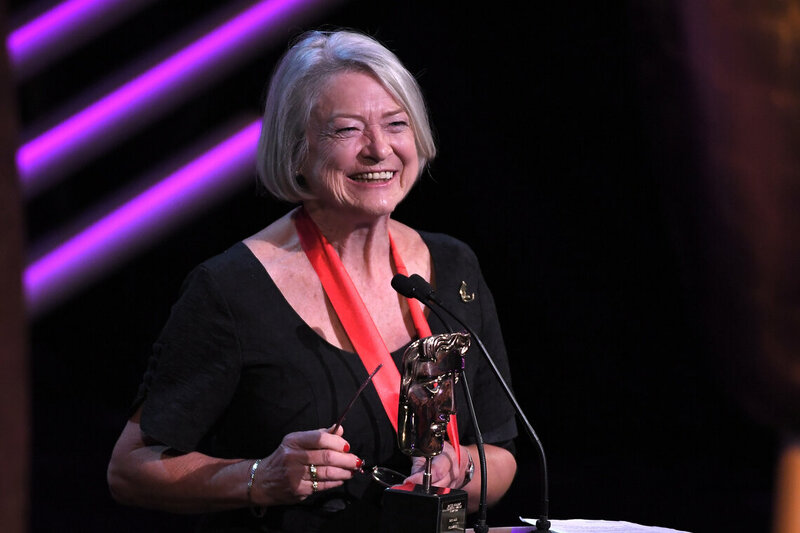 Kate Adie OBE was honoured with the Fellowship, the highest honour BAFTA can bestow, at the 2018 Virgin TV British Academy Television Awards. The broadcast journalist and author received the award in recognition of an outstanding and exceptional contribution to television. The following is an extract from the official 2018 Virgin TV British Academy Television Awards brochure. Our press release announcing the news can be found here. It is unlikely that any other recipient of a BAFTA Fellowship bears as many scars of war as Kate Adie OBE – and carries them so lightly. She has been shot four times but, as she says, “Little bits are missing, nothing vital.” Reporting for the BBC, she was grazed by a bullet in Beirut and hit by shrapnel in Bosnia, which is still inside her. She had flesh torn from her elbow in Tiananmen Square by a bullet that killed the man next to her and was shot at close range in Libya.